Ali Ahlstrand is opening another restaurant in Santa Barbara. 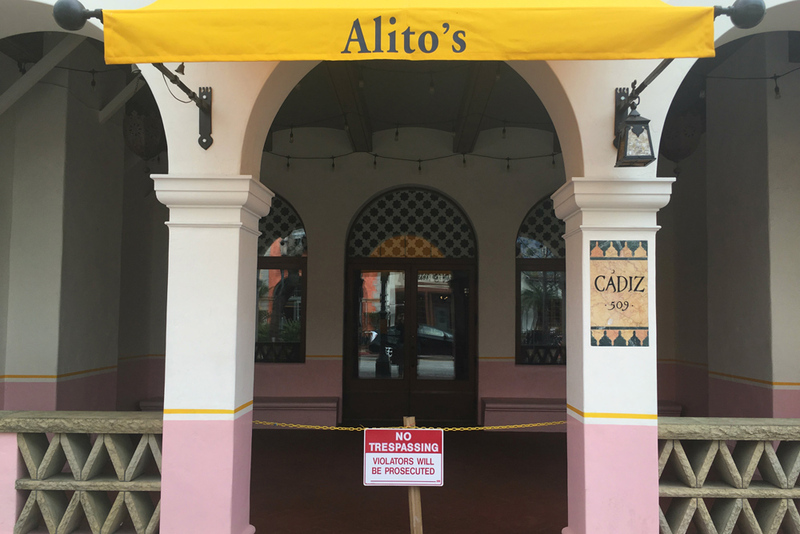 Ahlstrand, who owns Trattoria Mollie at 1218 State St. with his famous chef mother Mollie, is about to launch Alito's at 509 State St. The restaurant is set to open on Tuesday, and Ahlstrand promises high-quality Mexican food made with fresh ingredients. "It's high-end, upper-scale Mexican food," Ahlstrand told Noozhawk. Chef Eduardo Carranza plans to bring his family's recipes for tacos, enchiladas, taquitos, sopes, sea bass, salmon, fajitas, salads and even gluten-free chips. Ahlstrand encourages people to check out the restaurant, which he said offers the best Mexican food between Gutierrez and Victoria streets. Ahlstrand opened Trattoria Mollie in May of 2018, next to the Granada Theatre, at the site of the old Tupelo Junction. "We want to bring some of the success downtown," Ahlstand said.